When Nashville Hall of Fame Songwriter Kim Williams died on February 11, 2016, he’d already written a fitting epitaph in the lyrics of what may be his most enduring song. East Tennessee’s Kim Williams packed a lot of life into his 68 years and left behind a legacy that goes beyond his 16 No. 1 hits and 28 Top-10 songs in country, bluegrass, and gospel music. 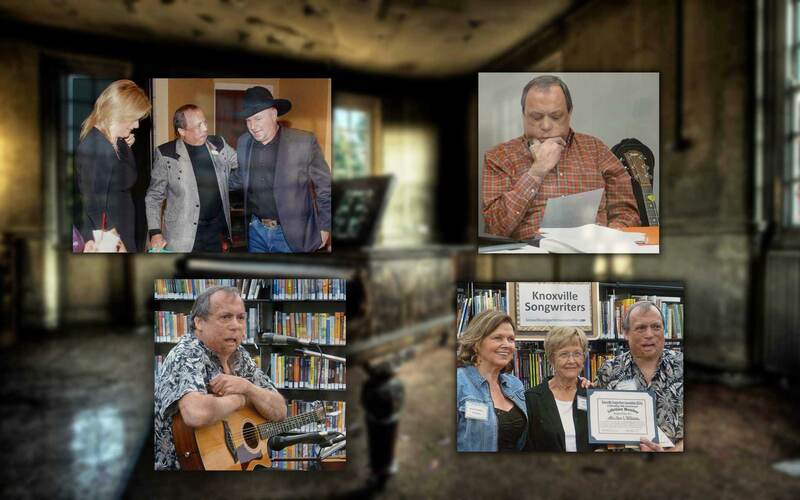 A gifted teacher as well as an exceptional writer, he has immeasurably influenced his fellow members of the Knoxville Songwriters Association and writers everywhere. In 1947, Kim Williams was born into a music-loving family in the Poor Valley farming community of northeast Tennessee. Kim began playing guitar at age six and wrote his first song five years later. In his late teens and twenties, he played in cover bands that toured the South and Midwest. Kim earned an associate’s degree from Walters State Community College and studied at the University of Tennessee’s Knoxville campus before becoming an industrial electronics technician. Although he would later face long odds in finding commercial success as a songwriter, he learned persistence in overcoming even longer odds just to stay alive. In 1974, while working at a glass plant in Church Hill, Tennessee, he was severely burned in a control panel explosion. 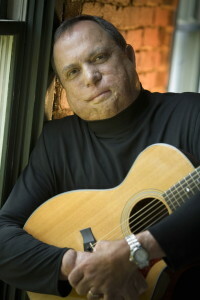 As his recovery progressed in the mid-1980s, Kim continued his musical education as a member of the Knoxville Songwriters Association. We knew Kim was talented from the time he played his first song at a KSA meeting. When he kept making the weekly 150-mile round trip from his home in Rogersville, we knew he was serious about his music. Kim was quick to tell anyone that being an active member of KSA taught him a lot about the craft of songwriting and helped him develop as a co-writer—skills that served him well in becoming one of Nashville’s most successful songwriters. Bob DiPiero, hit writer and past president of the Nashville Songwriters Association International, critiqued songs at a KSA seminar in 1988. He shook his head as he looked over the stack of lyric sheets and asked, “Has everybody here written a song with Kim Williams?” As it turned out, most everyone had. When he made the move to Nashville, Kim quickly established a reputation as one of the most productive writers on Music Row. He took a businesslike approach, routinely scheduling four or five writing appointments each day and making the rounds of writers’ nights to meet co-writers and demo singers. Kim signed a publishing deal with Don Lanier as a staff writer with Tree International (now Sony/ATV Music Publishing), Nashville’s premier music publisher. His first No. 1 hit, co-written with Ken Spooner, was “If the Devil Danced in Empty Pockets,” recorded by Joe Diffie in 1991. Through a co-publishing arrangement with Sony/ATV, Kim later headed Kim Williams Music and helped staff writers Marty Dodson and Ron Harbin develop into hit songwriters. Combining creativity and hard work, Kim succeeded in getting more than 500 commercial recordings of songs in his catalog. KSA’s most prominent alumnus was inducted into the Nashville Songwriters Hall of Fame in 2012 by frequent co-writer Garth Brooks. Kim already had been named ASCAP’S Country Songwriter of the Year in 1994 and had #1 hits by a “Who’s Who” list of singers in country, bluegrass, and gospel music. Kim’s songs helped drive sales of more than 154 million albums, tapes, and videos. “Three Wooden Crosses,” co-written by Doug Johnson and recorded by Randy Travis on his Grammy-winning 2004 album, was #1 in both country and Christian genres. It was selected as “Song of the Year” by five music industry groups—the ACM, CMA, CCMA, GMA, and NSAI—an unprecedented accomplishment. Kim and Phyllis Williams were proud to see their daughter Amanda achieve her own success in the music business. A graduate of Berklee College of Music in Boston, she is a singer/songwriter and founder of Songwriting and Music Business, a music education and entrepreneurship community. Kim and Amanda were among the co-writers of “Beer Run,” a Grammy-nominated duet recorded by Garth Brooks and George Jones. “She’s Tired of Boys,” a song Amanda wrote with Garth, appeared on his 2015 “Man Against Machine” album. Kim continued to attend as many KSA meetings as he could on trips back to East Tennessee, sometimes bringing along new friends from Nashville. One night, not long after he moved to Nashville, Kim came in with a young guy wearing a cowboy hat. We found out that this visitor from Oklahoma had sung some demo recordings of Kim’s songs. Long before founding AC Entertainment and the Bonnaroo festival, Ashley was showcasing top talent in all forms of music at his club in Knoxville’s Old City. That’s where Garth performed his first show as a headliner here before an audience made up largely of KSA members and family and friends we’d recruited. Garth remembered the enthusiastic welcome he’d received in that small club when he performed sold-out concerts in 1996 at UT’s Thompson Boling Arena. At those events, he thanked everyone who’d turned out for him when he first came to town. Over the years, Kim and Phyllis Williams enjoyed splitting their time between Nashville and the cabin they had built atop East Tennessee’s Clinch Mountain. They welcomed guests ranging from Garth and other chart-topping artists to KSA members and their families—most recently hosting the group to share food and songs at a cookout last summer. Among the many songwriting honors he received, Kim always said he was proud to be chosen as KSA’s first lifetime member. He continued to volunteer his time as a mentor to our group, regularly critiquing songs and sharing his knowledge at KSA meetings and at the Smoky Mountains Songwriters Festival. At the suggestion of long-time member Ken Loomis, KSA is making plans to honor Kim later this year with a concert at Knox County’s Fountain City Library, the site of our weekly meetings and annual Fountain City Music Festival. Members will each have a chance to perform one of Kim’s songs and talk briefly about his influence on their songwriting. Cyndy Montgomery Reeves, a KSA member and founder of the Smoky Mountains Songwriters Festival, says a tribute to Kim also is planned at this year’s festival, August 24-28, in Gatlinburg. “The Heart Is a Lonely Hunter,” recorded by Reba McEntire, and “Who Needs You Baby?” by Clay Walker. His No. 1 hits in Christian Music include Jeff Silvey’s “One Perfect Son” and “A Little Bit of Faith. “I’m Loving Life” was the title cut of a Grammy-winning album by the Gaither Vocal Band. In bluegrass, Kim’s No. 1 songs are “Brothers of the Highway” recorded by Dailey & Vincent (also a George Strait country cut), “Seven Sundays in a Row” by Blue Highway, and “The Last Suit You Wear” by Larry Sparks. Kim’s songs in films include “Overnight Male,” which was on the soundtrack of the George Strait movie “Pure Country,” and “It’s Not Like You,” from the movie “Cadillac Ranch.” The Gaither Vocal Band recorded Kim’s “Love Can Turn The World” for its African Video Project. Copyright © 2019 Knoxville. All Rights Reserved. The Arcade Basic Theme by bavotasan.com.